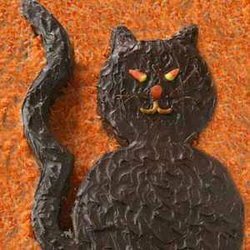 The first process in cake decorating is deciding what type of cake you are going to make. 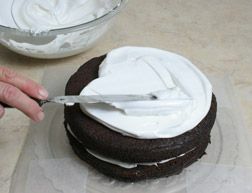 You will have to decide on the size and shape of the cake, which will determine the type of cake pans you will need. There are many sizes and shapes of cake pans available. 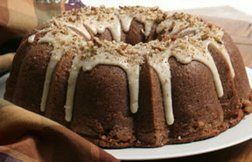 Besides cake pans coming in many sizes and shapes, they are also made from different types of material, which may affect the way a cake bakes. 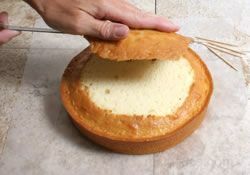 There may be times when a cake requires a different size or shape pan that you do not have available. If you do not want to purchase the pan called for and would like to substitute a size that you have on hand, see our Bakeware Pan Sizes and Volume chart to select a pan that will work best in place of the pan suggested. 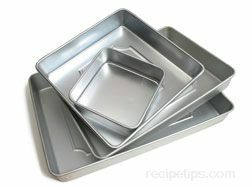 Shown below are some of the different types of cake pans that are used for different types of cake. 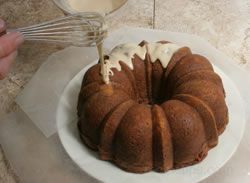 Cake pans are available in various shapes, sizes, and material. 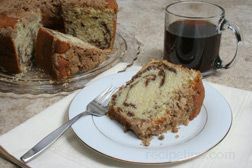 Among the most popular are round, square, and rectangular cake pans. 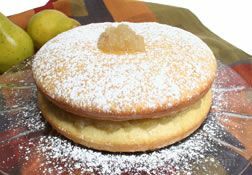 Round cake pans are used to make layer cakes and are generally found in 8 or 9-inch diameters and are 1 ½ inches in depth. 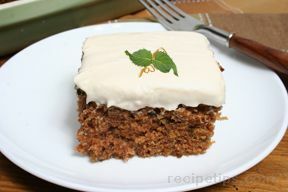 Standard square cake pans are 8 or 9 inches wide and 1 ½ inches in depth. 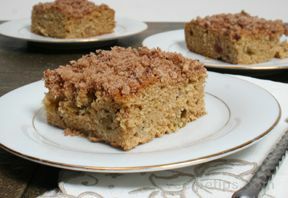 The most common rectangular cake pan is a 9 x 13 x 2 inch. 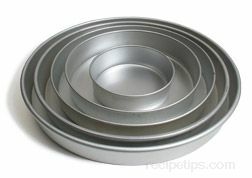 A tube pan is a deep baking pan that has a hollow tube in the center, which allows for more uniform baking. 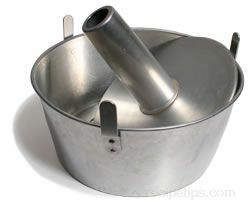 A tube pan is generally used for baking cakes such as angel food and sponge cakes. 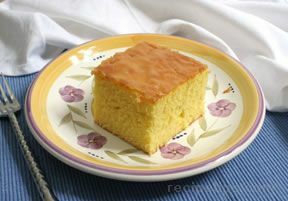 After baking an angel food or sponge cake, it is inverted by placing the hollow center tube on a narrow neck bottle or if the pan has feet, it is inverted and set on them. 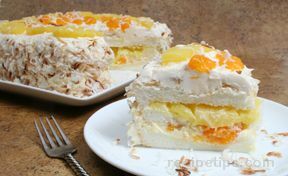 This allows the cake to maintain its airy structure and keeps it from falling. 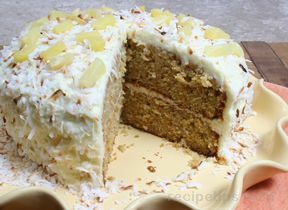 Other types of cakes may call for the pan to be greased; then after being baked, the pan is turned over so the cake falls out onto a plate or counter to be decorated. 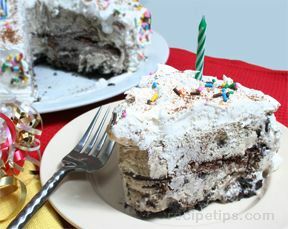 The cake will have a hole in the center. Tube pans can be made as a single piece or as two pieces, consisting of a side and a flat round bottom that is removable. 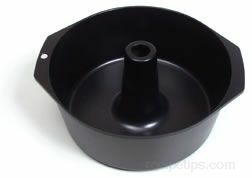 Tube pans range in size from 8 to 10 inches in diameter and 3 to 4 inches in depth. This pan is also referred to as an angel food cake pan. Another popular cake pan is a Bundt pan. 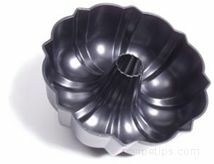 This is a heavy-walled baking pan formed with a decorative indented curvature and a hollow tube in the center. 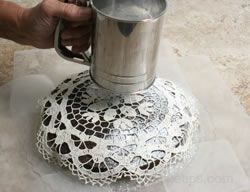 After the cake is baked, the pan is turned over to remove a decoratively shaped cake. Cake pans are also available in sets that include various sizes of one shape. 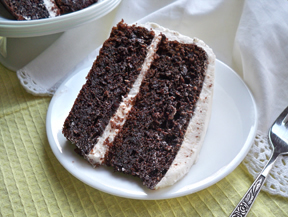 If you need different size cakes often or make layer cakes that have different size layers, you may want to consider purchasing cake pans in sets of varied sizes. 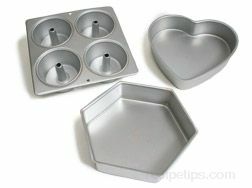 You will also find many different shaped cake pans and cake molds that are available for making decorative cakes. 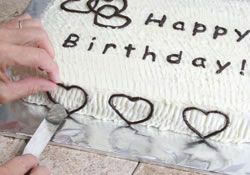 Generally, someone who bakes and decorates cakes that they sell to other individuals will have several sets of pans in various shapes and sizes. The cake pans mentioned above are just a few of the many pans that are available. All of these pans are available made from different types of materiall also. 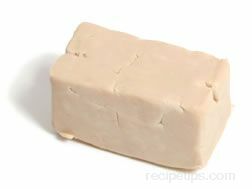 The type of material the pan is made out will also have an effect on how the cake will bake. 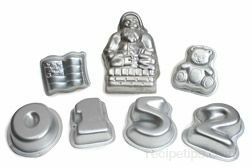 The Types of Bakeware - Bakeware Material information shows the different materials these pans are made from and the affects they have on baking. 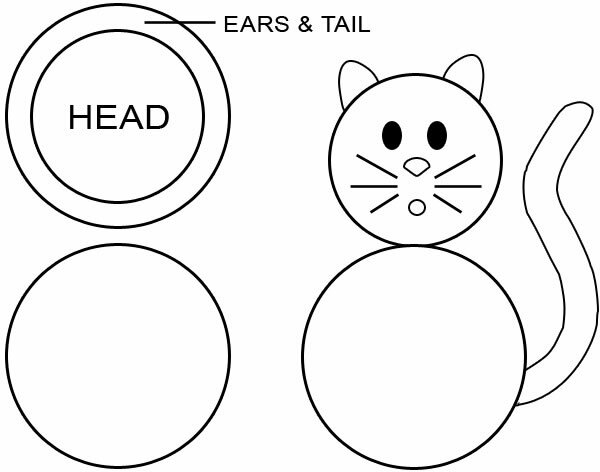 The Cake Decorating Supplies shows other supplies needed when decorating cakes.